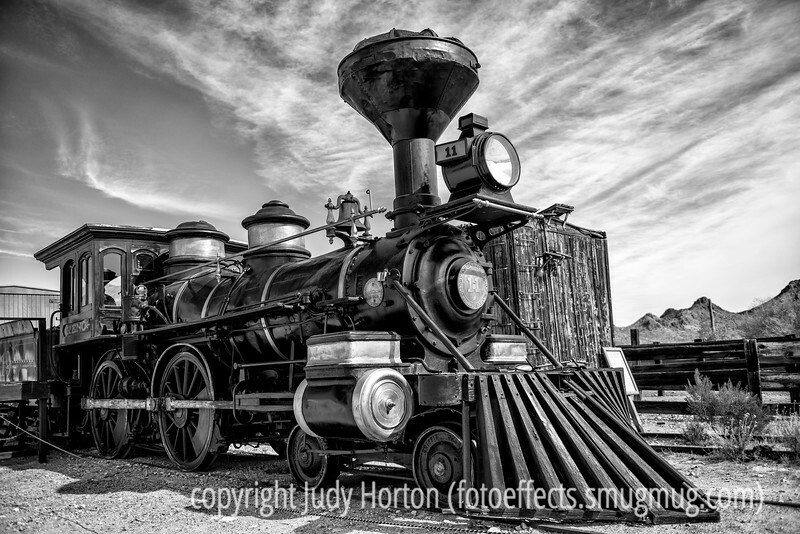 3/19/13 - Old locomotive at Old Town Tucson. Thanks so muich for your warm response, making my shot of the Presidio arches the #1 shot for the day. A few more of you preferred the color version, but quite a few thought the b/w version was better. Thanks for sharing your opinions with me! BEAUTIFUL SHOT. AN AMAZING LOCO. wonderful shot, sharp and rustic setting. Fantastic loco, superb in b&w. Great composition. Wow! This really is outstanding work.... fantastic in every way!